PokerTableRatings has just recently made the public aware of a security gap in the Cereus Poker Network software. They have also advised players not to use the software until a solution to the problem is found. PokerTableRatings has found a critical error in the Cereus software which compromises your security. This error occurs in popular and heavily trafficked Cereus poker rooms such as Absolute Poker and UB. This security gap makes it possible for the average hacker to access our user accounts and view the opponents’ hole cards in real time. With over tens of thousands of users per day, the Cereus truly needs to adress this problem as soon as possible. The main core of the problem stands from Cereus neglecting the use of the foolproof SSL encryption technique and instead deciding to stick with their individually developed software. Cereus has developed their own security software by using XOR instead of SSL, which provides a much weaker shield of protection. In truth, this is not even encryption, only encoding, which can be easily decoded with the help of a Windows or Linux computer and a simple calculator. The easiest point of attack to break into the Cereus Poker Network's rooms is to identify the victim’s internet connection. If you are using a public wirless connection, a hacked wireless system or even connect via direct cable, you will be easy prey for hackers. 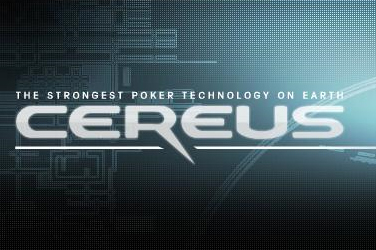 PTR has also provided a demonstration video in which they use cheap hardware and their own wireless network to break into the Cereus Poker Network database to show you how easily it can be done. They were able to log into other players’ poker accounts and see their hole cards in real time. After a few heavy nights in San Diego, poker pros Antonio Esfandiari and Brian ‘tsarrast’ Rast decided in the spear of the moment to make a bet: they will not drink a single drop of alcohol until the end of the WSOP 2010. They later amended the conditions after their hangovers had passed to include six break days throughout the time, where they can binge as much as they want. The WSOP golden bracelet owner Esfandiari and the online pro Rast are both well-known in the poker society for their party boy reputation and are both said to enjoy the company of nice girls, booze and poker. As the WSOP moves in closer, preparation for the three months dry spell began. "On one of the days we chartered a yacht in San Diego and took a bunch of girls out to sea. We had a DJ, endless booze, it was AMAZING. I got so wrecked that I made a 3 month no drinking bet with Brian Rast starting this Monday - you know how when you get all messed up and you think to yourself what am I doing with my life?! Well...I got there and decided if I took a 3 month break from partying I could accomplish a lot more. 3 months - 30k (we both have same bet so chances are there will be no winner) and we do get 6 passes throughout - which I think is pretty reasonable. Wish me luck!" - this is what Antonio Esfandiari said about the issue in a recent blog post. XBLINK – Is the Isildur of UB Now Playing on Full Tilt? While the Swedish high stakes player Isildur1 had won and then lost huge amounts of money on Full Tilt Poker, a new player, XBLINK started a career on UB by building a bankroll of $800,000 out of as little as $11 in just one month. Is he a new wonder outclassing everyone or is he simply lucky? XBLINK had previously made more than 20 deposits of $500 in different poker rooms, but went bankrupt in all cases. XBLINK registered to UB’s $11 tournament with his last dollars in November 2009, and his winnings started a fairytale-like series of success. He took the $750 he had won at this tournament to PLO and NLHE cash game tables and the next day he already had $4,000. In the next few days this sum grew to $20k - $60k, and he was already playing $25/$50, $50/$100, $100/$200 and $200/$400. XBLINK’s bankroll was $833,193 on the 11th December. According to PokerTableRatings XBLINK’s current UB balance is $990,010 with 157,764 hands played. His winrate is 3.67BB/100. He also joined the conversation on the 2+2 forums. Check out what he commented on the issue under the name 89blist. The brand new Cake Poker client will soon be available for everyone, players of the Cake network will probably be able to try it out in June. 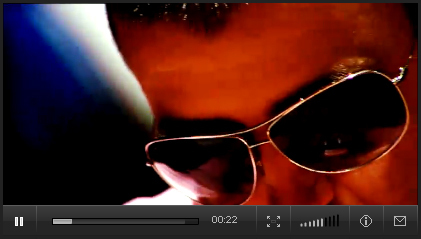 A short introductional video, however, is already available for my readers in this blog post. "We are excited to launch the private beta for our new Cake Poker client and to get some further feedback on our efforts. We are delighted at the how the client is currently operating and looking forward to being able to offer an improved online poker experience to all our players." – says Lee Jones, Head Director of the Cake Network. The EPT sponsored by PokerStars.com is one of the most popular and respected series of live poker tournaments. Held within stunning locations throughout Europe, the EPT in now set to finish its 6th season at Atlantis Casino located in Monte Carlo. The buy-in was settled at a neat 8,000 EUR. Only 8 players remained out of the 848 players who entered into the competition and generated a whopping 8,480,000 EUR in total prizes pool. PokerStars has once again strengthened its SportStars line-up with the signing of the highly talented 23 years old tennis player Gael Monfils. PokerStars doesn’t only welcome poker pros, but also supports sport celebrities among its endorsed players, including Boris Becker, Mats Sundin and the rugby player Sébastien Chabal. The French player is well-known for his fantastic physical abilities and has been a professional tennis player since 2004. His biggest Grand Slam success came in 2008, when he made it to the semi finals at the Roland Garros. Monfils is one of the biggest showmen of the tennis world, mainly because of his acrobatic charisma. Until now, he has slammed together over $3,605,000 over his tennis career and PokerStars will add to this collection. Has Barry Greenstein Really Played the Phantom Isildur1? Thanks to Pokertube, we now have access to an exclusive interview with Barry Greenstein at the EPT Monte Carlo, where he made some interesting comments. Barry Greenstein, a well-known high stakes player and PokerStars Pro Team member, claimed to have played against the mysterious phantom Isildur1 in his interview. He stated that Isildur1 is Viktor Blom. It was when Greenstein was talking about last year’s WSOPE in London that he mentioned having played against Isildur1. Barry also mentions how much of a poker addict Isildur1 really is. The American online professional poker tutor Cole 'CTS' South announced he would like to concentrate on his studies and poker in the future, which he could not really focus on while being a tutor at CardRunners. Cole South made official announcements of his decision to depart from the CardRunners via an online bolg entry on the 27th April. "I have had an amazing experience as a lead instructor with Cardrunners over the past few years, but today I am announcing my departure from the company," Cole South announces in his recent blog entry, titled “Moving On and Good Luck”. The Finnish high stakes poker player until April has lost more than 3 million dollars on Full Tilt Poker. This month, however, he is leading the profit list, making up for most of his downturn this year. 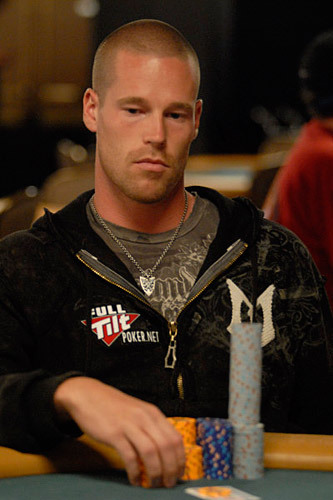 Patrik Antonius has been one of the biggest winners at Full Tilt Poker for years now. However, in 2010, this changed for the worse: Antonius’s outgoings exceeded $3,015,400 until 31st March and secured the title of the biggest loser at Full Tilt. Poker Surface – Could It Be the New Dimension of Live Poker? University students developed the latest hybrid of live and online poker, Poker Surface, which can be controlled by either a mobile phone or a touch-sensitive surface. Poker Surface is already raising eyebrows with big companies showing great interest in the product. Although those in favoring live poker will probabrly never say goodbye to the feel of real chips, a real deck of cards and a fancy dealer lady, the combination of live and online poker has been challenging the developers for years now. The first electronic poker tables made their debut in 2008, and today they can be found in several popular casinos, including the recently finished Aria in Las Vegas. 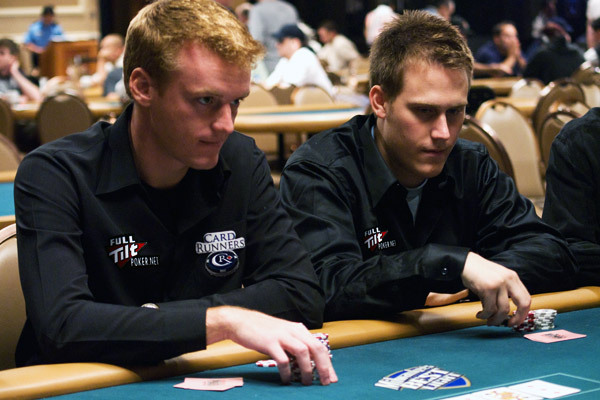 Tom ’durrrr’ Dwan became a Full Tilt Poker professional in November 2009, when he signed with the Full Tilt Team. Although durrrr has been signed with Full Tilt for a while now, only recently has he acquired his own avatar, a privilege to every Full Tilt Pro. Durrrr’s comic self was born on the 18th April, so now he doesn’t need to look in the mirror anymore to admire his own face while playing poker.